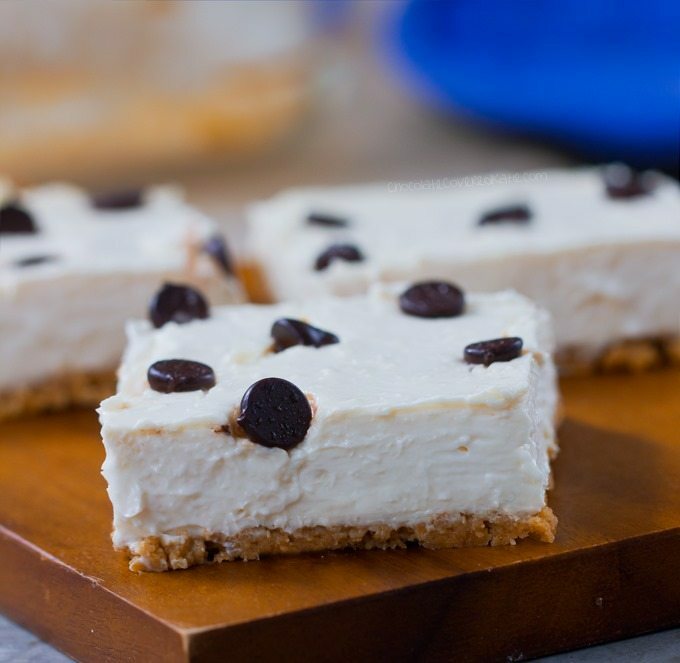 Rich and creamy cheesecake bars – just 7 ingredients, and they are a huge crowd favorite! 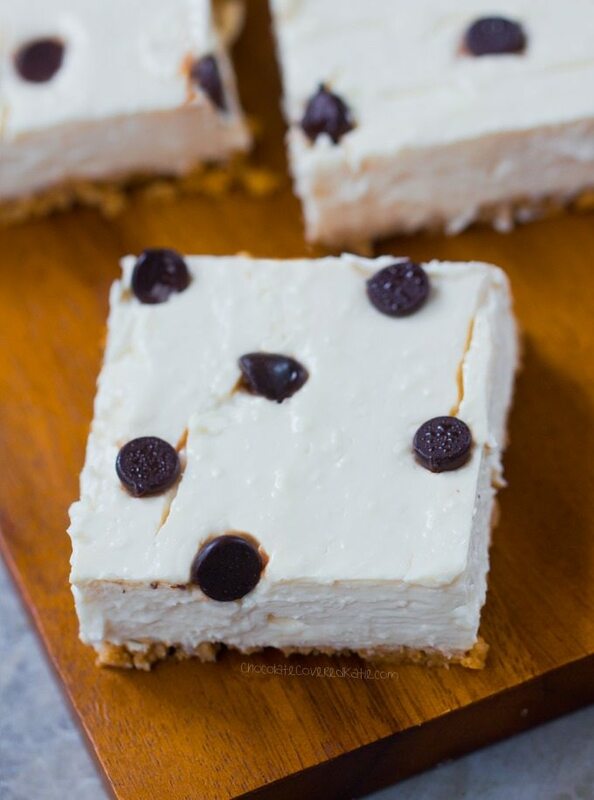 These easy-to-make cheesecake bars are one of my “go to” recipes for any sort of gathering or party. 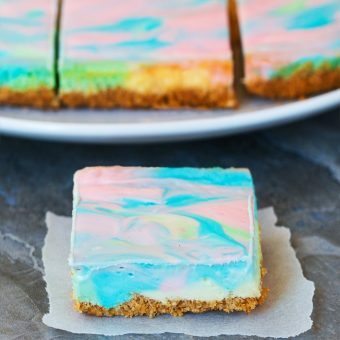 People go crazy for the soft and ultra creamy cheesecake bars, and the recipe honestly could not be easier to make – I just mix everything together, layer it into a pan, and let the oven do all of the hard work. 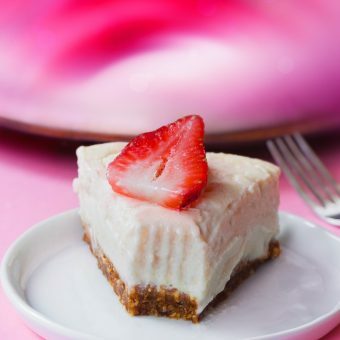 Homemade cheesecake is one of my favorite desserts, and I’ve tried all sorts of different cheesecake recipes over the years, from my grandmother’s traditional recipe, to cheesecake recipes I found in magazines, to my own healthier and vegan baking experiments. I’ve picked up quite a few tricks in my years of baking cheesecake. 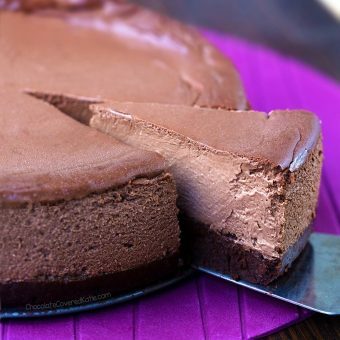 One of my favorite tricks is to add a pan of water below the cheesecake as it bakes, which adds moisture to the oven and helps to prevent the cheesecake from cracking. Taking the cheesecake out and letting it cool before refrigerating also helps to prevent cracking. I used a simple graham cracker crust for these particular bars, but you can use any crust you wish, such as my Healthy Chocolate Pie Crust or the following almond flour crust: 1 cup almond flour, 1/8 tsp salt, 1 tbsp melted coconut oil, 1 tbsp water (plus 1 tsp if needed). Combine all ingredients. Line an 8-inch pan with parchment paper. Put crust inside, then put another sheet of parchment over top and smooth the crust down. There is enough to cover the bottom if you keep smoothing until it finally spreads evenly into the bottom of the pan. Remove the second sheet of parchment. Bake in preheated oven at 350F for 10 minutes. Then take out and put cheesecake filling on top. 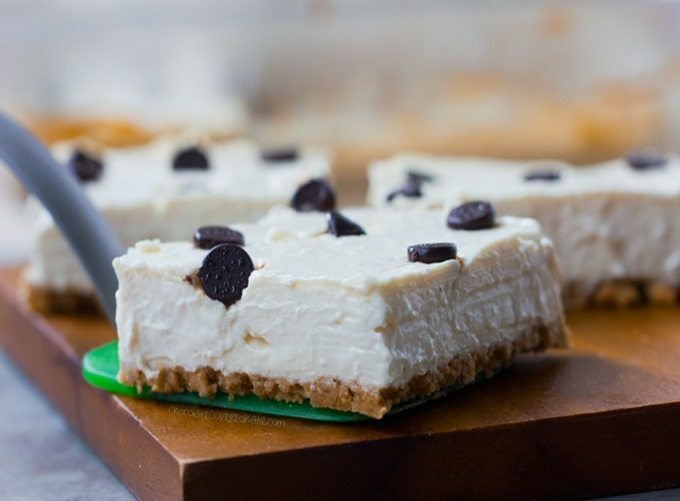 If you are a cheesecake lover, this recipe is absolutely for you. What’s not to love about creamy New-York-Style cheesecake firm enough to hold in your hand and stuff right it into your face without even stopping to find a fork? At the moment, I can’t think of anything that sounds better! *If using coconut butter instead of cream cheese, just skip the baking instructions and instead refrigerate or freeze until firm, because that version is no-bake! Preheat the oven to 350 F. Fill any large baking pan about halfway with water and place it on the oven’s lower rack. Line an 8-inch baking pan with parchment. Bring cream cheese to room temperature (or gently melt coconut butter). 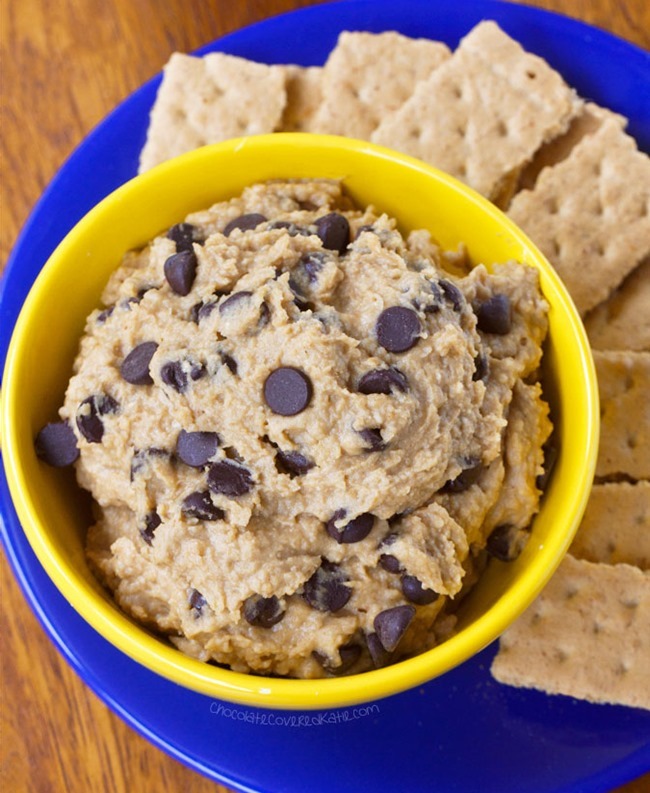 Beat all ingredients except chips in a blender or with a hand blender just until smooth – Don’t overbeat, which would introduce air bubbles that could burst in the oven and thus cause cracking. 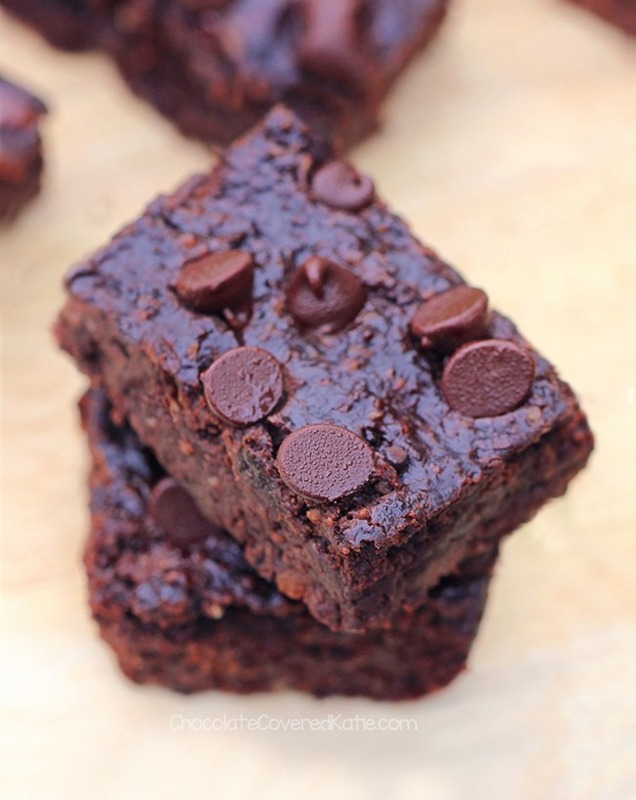 You can stir in chocolate chips now or press some into the top after baking. (For a crust, I processed 5 graham cracker sheets with about 2 tbsp coconut oil, then spread that into the lined pan. Or you can use any of the crust recipes mentioned earlier in this post.) Smooth batter into the pan, and place on the oven’s middle rack (the rack above the one with the water pan). Bake 25 minutes, then don’t open the oven but turn the heat off and let sit in the closed oven an additional 8 minutes – this helps the cheesecake bars cool down slowly so they’re less likely to crack. Take out the still-undercooked bars and let cool at room temp 1 hour (this step also helps the bars cool gradually), then cover and refrigerate overnight, during which time they will firm up considerably. Slice into bars, wiping the knife between cuts. Store leftovers in the fridge, or they can even be frozen. Previous Post: « Chocolate Breakfast Oatmeal Cupcakes – To Go! Oh my! This looks heavenly, Katie! YASS! I am going to Trader Joes after work to get the ingredients for this to make tonight – it looks that good! Oh. My. God. So creamyyyy!!!! Cheesecake + chocolate = happy me!! I hope I get the chance to try this out! Just made them and the dough tasted DEELICIOUS! They set up nicely (no cracks) and are currently chilling in the fridge to firm up. So excited about these!!! 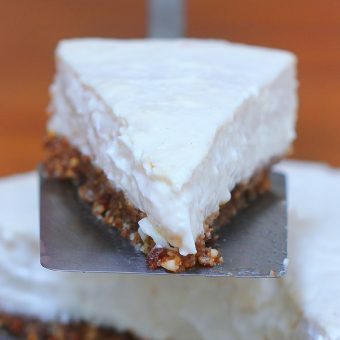 I’m always looking for a nut free vegan cheesecake. This looks fantastic! OMG this looks like heaven!!! Why aren’t the crust ingredients included with the recipe? Seems a little confusing.. It is included. It’s right in the directions. I think Ashley meant, why aren’t they listed in the ingredients. I just got bit by that. I saw “7 ingredients!” threw them on my shopping list. I got back home and then read the recipe. My fault, sure: I should’ve read the whole thing. But the title is misleading. 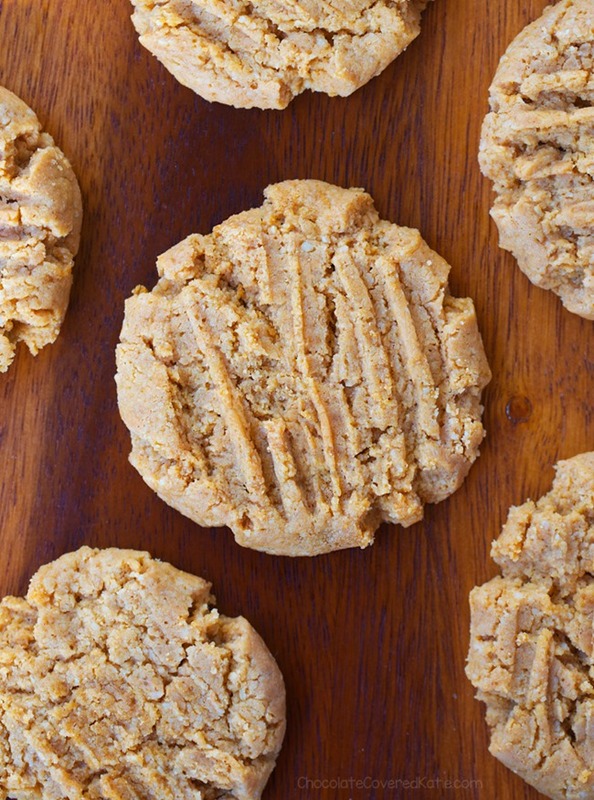 Yeah, it’s not only 7 ingredients, because you have to make the crust for these too! I have been waiting for you to post these ever since I saw them on instagram. I am so excited to make these, maybe for Memorial Day. I will let you know how they go! I LOVE this! Looks super delicious! I would have thought there was tofu in these for sure! 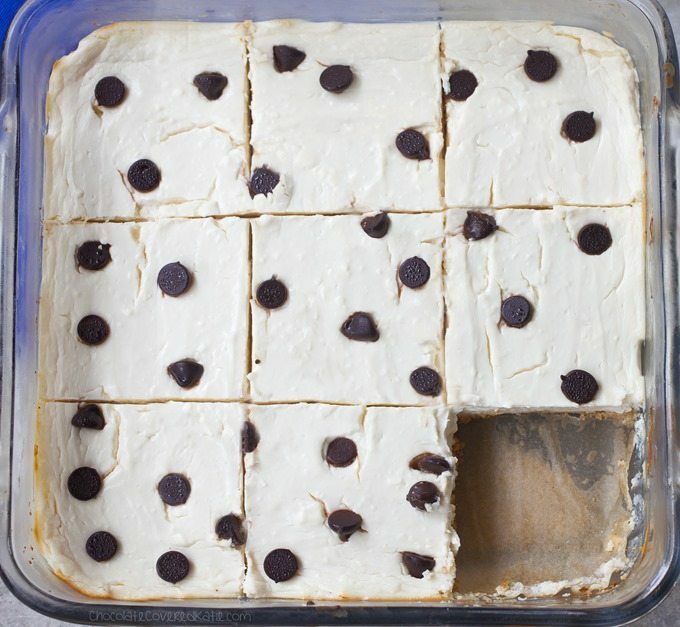 I have tried making raw desserts with tofu and even though I like it, I dislike it in desserts! I have used cashew cream which is delicious. I’m a fan of coconut yogurt and dairy-free cream cheese so I think I would love these!! Oh my gosh, I LOVE this idea! 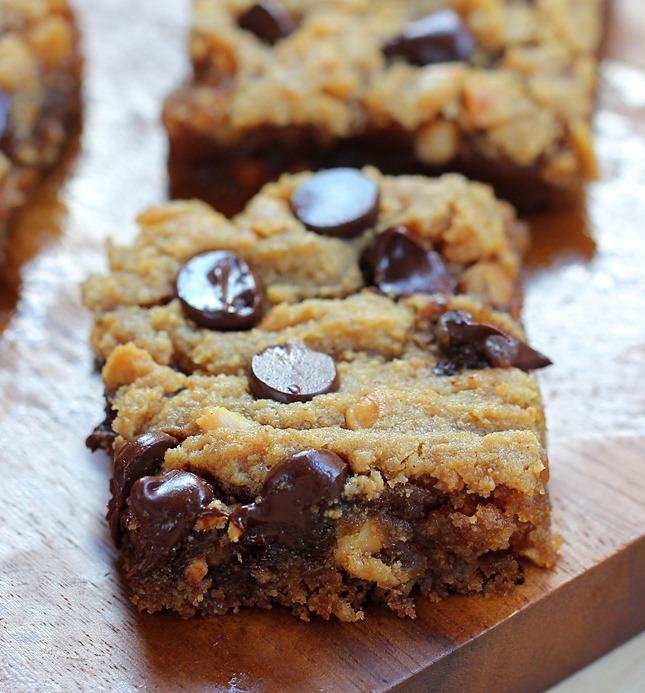 These bars look so fluffy and delicious! 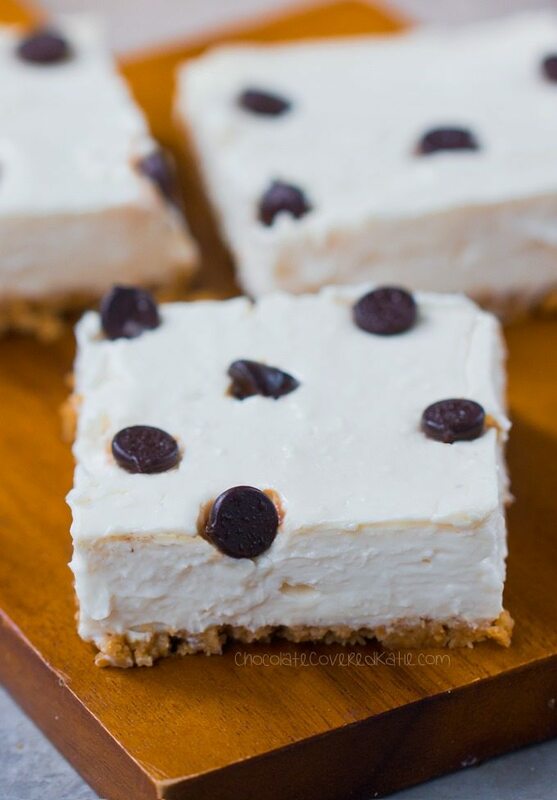 I would love to add chocolate or peanut butter to these cheesecake bars! I’ve not done it, but I know some readers have. Mine didn’t set. I used exact ingredients per recipe. Wondering if they should have baked longer? Think you could bake this like a normal cheesecake? It would be so much more helpful if people only commented on their experiences with making and eating these recipes rather than just saying how good they look. Of course they all look good!